TACLOBAN CITY – About P2 billion worth of real property was formally donated by the provincial government of Leyte to the region’s premiere university – the Leyte Normal University – 89 years after being under usufruct. Leyte Governor Carlos Jericho Petilla led the turn over Wednesday of the 80,000 square meters property that consists of 21 lots that belonged to the provincial government and now formally given to LNU. The properties house the more or less 24 buildings of the university including the area along Youngfield district where the university dormitory is located. In his turn-over speech, the governor said this act by the province reflects the intent of his administration to give importance to education. It is recognized in the region, he stressed, that LNU is a “premiere university” that has produced quality graduates and committed professionals in the fields of education, hotel and restaurant management, communication and other courses. Considering the appraisal of the commercial value of the lot estimated to be about P2 billion, the provincial government he added, has given more weight to the value of education that the university can provide more than the financial gain the province can earn from the said property. The resolution donating the 80,000 square meter property penned by the Provincial Board was started in March 2008 until its recent approval. Meanwhile, LNU President Dr. Evelyn Cruzada said they could finally lay claim to the property and have the 12 lots titled as mandated of them by the Commission on Audit. “We are very, very thankful to Gov. Petilla, himself an alumnus of the school, for finally donating this lot to the university. We would forever be grateful,” Dr. Cruzada said in her acceptance speech. It was likewise learned that LNU, for its part, would support the province in its commitment to the people of providing “social services” particularly education. According to Mr. Pablo Amascual III, LNU Chief Administrative Officer, the university has provided scholarships for deserving students coming from the province of Leyte. Each of the board members were given 5 slots each for the scholarship grants and 10 slots for the governor and vice-governor. “These scholarships are already filled up and the scholars are presently enrolled in various courses in the university,” Mr. Amascual said. University officials likewise described the turn-over of the donated lot as “timely” as the school would celebrate its 90th founding anniversary in 2011. Present during the turn over ceremony and unveiling of the marker were Dr. Nona Ricafort, who sits as chairman of the LNU Board of Regents, Vice-Governor Mimietta Bagulaya, Board Members Roque Tiu, Rolando Piamonte, Antonio Jabilles and Carlo Loreto and CHED-8 Regional Director Ma. Rita Ortiz. CATBALOGAN, Samar – As the checkpoints of Samar Philippine National Police started flagging down suspicious characters, they were able to apprehend one suspect with firearm while two suspects yielded bladed weapons. In an interview with PNP Samar, the operations division bared that since the start of the gun ban, only one suspect from Barangay Bahay, Sta Margarita identified as Emilio Casaljay yielded one colt ER-15 rifle with four pieces long magazines and three short, the rifle was loaded with seven magazines. Charges for violation of RA 8294 has been lodged against the suspect who is now at the Sta. Margarita lock up cell. Meanwhile, two suspects have been accosted and have yielded bladed weapons. From Barangay Tinabanan, Marabut, suspect Jayson Cabasio yielded a bladed weapon (balisong)19 cm long. Appropriate charges have been filed and suspect is now at the Marabut PNP station. Another suspected violator of the gun ban is identified as Efren Mabansag from San Bartolome, Barangay 6, Catbalogan, Samar. His case is for filing according to Samar PPO. “In May, we elected our national and local leaders in what can be regarded as the most orderly and peaceful elections ever in the history of Philippine politics. Thru the formidable partnership of the police and military institutions, we were able to effectively check any outbreak of political violence by waging a nationwide campaign against loose firearms, partisan armed groups, and election law violators. “This time as we look ahead to another electoral exercise for Barangay and Sangguniang Kabataan officials, we are mobilizing again the combined might of the PNP and AFP to safeguard this electoral process and uphold the will of the sovereign electorate in the forthcoming synchronized Barangay and SK polls in October 25. 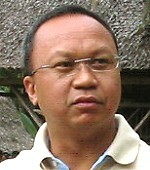 CAMP LUKBAN, Maulong, Catbalogan, Samar – Amidst the relentless and massive effort of the government troops in its Internal Security Operations (ISO) in Central Visayas, Major General Mario F. Chan, Commander of the 8th Infantry (Stormtroopers) Division, Philippine Army, calls the New People’s Army (NPA) in Samar to lay down their arms. As earlier reported, the government troops has accounted for a total of ten (10) major engagements resulting to the discovery and seizure of a total of 16 NPA encampments in three Samar Provinces. As the troops continue to pursue the fleeing communist terrorists, Major General Chan calls them to surrender and bring along with them, their firearms in order to once again live a decent and normal lives along with their families. Despite the accomplishments gained by the government troops, according to Major General Chan, “There is no happiness and satisfaction derived from killing NPA rebels, only dissatisfaction. The real sense of fulfillment comes in embracing a rebel back to the folds of law and help him become productive and contented citizen of this country”. Chan also pointed out the futility of the NPAs continued resistance and their revolutionary struggle. He cited that the government have various programs aimed at assisting the former rebels and incorporate them into the mainstream of our society. Major General Chan also assured the NPAs who will lay down their arms that they will not be harmed and instead they will be given assistance for them to start a new life. “We have established a mechanism for them to surrender in coordination with the local chief executives of Samar Provinces down from the mayors to the three governors. All they have to do is to approach or contact their barangay captain, the mayors, governors or any person they can trust to coordinate with the authorities for their intention to surrender. They shall bring their firearms as a proof of their membership with the NPA organization. Those party members who don’t have firearms can also surrender. They can also call or text to these numbers: 09997422629 or 09174464714” Chan added. CAMP LUKBAN, Maulong Catbalogan Samar – The intensified combat operations conducted by the troops of the 8th Infantry (Stormtroopers) Division, Philippine Army, have kept the Communist Terrorist Group in Samar on the run. As can be recalled earlier, the recent operations of the government forces in Samar Island resulted to the discovery and seizure of 11 enemy encampments that includes the National Organizational Department of the CPP/NPA Central Committee and the main headquarters of the Eastern Visayas Regional Party Committee. With the 8ID’s effort to pursue the fleeing CTs, a series of encounters ensued leading to the discovery of alternate and satellite camps and several caches of firearms, ammunitions, war materials, medical supplies, personal belongings and voluminous subversive documents containing vital information. In Northern Samar, in a report from Colonel Oscar Lopez, the CO of 803Bde, 8ID, PA stationed at Camp Sumoroy, Catarman, Northern Samar, at about 10:00 in the morning of October 3, 2010, troops of 3rd Scout Ranger Company of the First Scout Ranger Regiment under Lieutenant Baylon while scouring the main camp, recovered one (1) Uzi submachine gun, 4 hand grenades, 1 airgun, 60 rounds of cal 5.56mm linked, 5 improvised explosive devices with manually operated switch, 6 wet cell batteries, 1 AC/DC tester, books on demolition course, electronics and sniping, other voluminous documents, vitamins, medicines and medical equipment. Relatedly, at about 3:00 o’clock of same day, troops of 6th Special Forces Company under 1LT Guevarra were able to unearth a total of 10 sacks of assorted enemy personal belongings, training paraphernalia and subversive documents of vital importance at the hinterland barangays of Matuguinao, Samar. The said items were buried by the fleeing communist terrorists in the area as they evade confrontation with the government troops. In Eastern Samar, report reaching this Headquarters from Lt. Col Hermilo Demafiles, Commanding officer of 14th Infantry Battalion based in Brgy. Dao, Oras E. Samar, disclosed that at about 8:00 o’clock in the morning of October 4, 2010, the operating troops of Alpha Company, 14IB led by Sgt Eraya encountered a group of more or less 20 armed communist terrorists at vicinity Barangay Dorillo, Jipapad, municipality afterwhich the enemy withrew towards east direction after 30 minutes of firefight. At about 3:20 in the afternoon of same day, another troops of Alpha Company, 14IB under Lieutenant Dequiatco while conducting pursuit operations encountered the fleeing communist terrorists at Barangay San Roque, Maslog, Eastern Samar. After three minutes of firefight, the enemy withdrew towards northwest direction. No reported casualties on both sides. Troops of 14IB recovered in this two encounters: two bags, one claymor mine, two detonating cords, four pcs. flash lights, trigger mechanism for M14 and M16 rifles, 35 pcs ballpen, two eye glasses, assorted paraphernalia, three sets acupuncture, four cellular phone (model 1650, 2 model 1202-2 and 11661-2), three load cards worth 100 pesos each, one cellphone headset, two cellphone chargers, two ammunition for 12 gauge shot gun, assorted simpacks, eighteen kilos of rice and subversive documents. About two (2) hours later of that same day in Eastern Samar, Bravo Company, 34IB led by Lieutenant Latonio discovered another abandoned NPA camp in barangay Aguingayan, San Jose De Buan, Samar. The said camp has more or less 15 bunkers made of anahaw makeshifts believed to be used as temporary shelter of the fleeing communist terrorists. At about 4:05 in the afternoon of same day, the same troops again discovered another abandoned enemy camp in the same barangay. 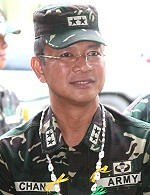 Meanwhile Maj. Gen Mario F. Chan, Commander of 8ID, lauded the troops for their job well done, even as he urged them to continue tracking the enemy and locating their encampments. BORONGAN, Eastern Samar – Congressman Ben P. Evardone perceives better if not the best roads are about to happen in Eastern Samar once widening and rehabilitation project are completed. This was Evardone’s insights which he shared to his constituents after the ocular inspection that was done along the highways by a team of American engineers and experts from the Department of Public Works and Highways (DPWH), Central Office Manila which was led by Secretary Rogelio Singzon. According to him Secretary Singzon told him that they are ready to spend if only to improve the province’s roads. Cong. Evardone referred to the huge budget which President Benigno Aquino III brought home from the United States’ Millennium Challenge Corporation (MCC) amounting to some $214M which DPWH would be disbursing for the project construction in the province. He reported that DPWH is set to prioritize the road portions where there are no serious problems i.e, road-right-of way, environmental issues. “Just like the McArthur-Hernani portion where the stretches are quite wider and with lesser number of houses where constructions would be done, I think this portion will be done ahead of the rest”, Cong. Evadone predicted. He also mentioned another example, that of Brgy. Libas coastal stretch leading towards San Julian town which is oftentimes washed out during bad weather is a candidate for transfer by using and passing through the back of the mountain. “I really see a world-class, 20-meter wide highway, wide enough than ordinary highways and of good quality”, he added. Another good thing he said with the project is that it is conscientious in protecting the environment, the water sheds as well as the convenience and safety of the riding public. As the project is likewise very much aware of the number of days to fully finish, Evardone said that the consultants are asking the suggestions of the 23 mayors, to submit the map of the areas where they would opt to have the widening and or rehabilitation of the roads would pass through in their area of responsibility. 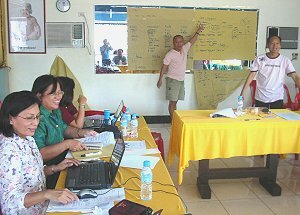 CATBALOGAN, Samar – Villareal, Samar a 4th class municipality has convened its municipal development council to formulate a Comprehensive Development Plan that will benefit some 25,135 Villahanons. This is in compliance with Republic Act 7160, known as the Local Government of 1991. The comprehensive multi-sectoral development plan was initiated by the development council and approved by the Sangguniang Bayan. Some 14 department heads and SB members were holed-up at the Jasmin Beach Resort in Marabut from October 4 and expected to end October 6. According to Joy Monsanto, speaker lecturer of DILG Samar, the CDP will strengthen the structure of the Local Development Council to guarantee the inclusion of sectoral concerns and integrate population development as its principal element. “We have included some plans for agriculture like corn and abaca production for our people,” SB Bienvenido Reposo confided to PIA. He added that rice farming yields are low because the town has no irrigation facility. He then proposed corn and abaca instead which do not require too much water to grow. Villareal is a coastal town along the Samar Sea and has fishing and farming as the chief sources of livelihood. “Vegetable farming will be another option,” Reposo added. “If Sta Rita can grow vegetables and supply the regional capital Tacloban, I don’t see why Villareal cannot,” stressed the senior SB member. Health sector could not be ignored too. A member of the health sector said they plan to improve their birthing facility to reduce maternal mortality rate in this remote town. Villareal’s health sector came in full force with their Municipal Health Officer who belongs to the Doctor to the Barrios program. When asked if Mayor Reynato Latorre will support the plan, the ‘planners’ believe so. Mayor Latorre is presently the League of Mayors (LMP) President for Samar and has been hailed as a pro-active local chief executive. Based on an article by writer Rosario Nabong-Cabardo, Mayor Latorre has mobilized his fellow Villahanons here and abroad to contribute sacks of cement and harnessed tiklos labor (the traditional practice of helping one another in times of harvest). The article further said that contributions poured in and people turned up for the tiklos now known as the “Villareal Bayanihan Road” have been cemented. Mayor Boy Latorre has demonstrated people power in action in his municipality. The project continues and so thus the tiklos spirit. CALBAYOG CITY, Samar – The Northwest Samar State University (NwSSU) congratulates the 15 fellows who made it to the 7th Lamiraw Regional Creative Writing Workshop (LRCWW) which will be held on November 9-12, 2010 in Calbayog City, Samar. The fellow are: Erwin Fernandez from Urdaneta City/UP Diliman; Early Sol Gadong from Iloilo City/UP Visayas; Seneca Pellano from Tagum City/UP Mindanao; Ma. Alma Lloren from Tacloban City/EVSU; Gloria Sommer from Tacloban City/ADFC; Imelda Ruiz from Tacloban City/UP Diliman; Osmundo Orlanes from Calbiga, Samar/Sacred Heart Seminary; Liberato Mabubay from Jiabong, Samar/Samar College; Gary Manalo from Calbayog City/NwSSU; Jewel Mercader from Calbayog City/NwSSU; Joel Rey Pagobo from Calbayog City/NwSSU; Jenith Salem from Calbayog City/Central Colleges of the Philippines; Jerome Castillo from Capul, Northern Samar/UEP; Milen Esteria from Capul, Northern Samar/UEP; and Rhea Sauro from Capul, Northern Samar/UEP. Fellows will get free board and lodging, and travel allowance. Their works will also have the chance to be selected in the proposed book project of Lamiraw which will feature the best poems written in the last 7 years of the workshop. This year is a special year for Lamiraw because the University will be launching the Chito S. Roño Literary Awards (CSRLA), a major component of the annual Lamiraw workshop. The renowned film director himself, Mr. Chito S. Roño, will be this year’s keynote speaker. Works written in Waray, Sebuano, Inabaknon, Pangasinan and English are among the manuscripts that will be read in this workshop. The eight panelists invited this year are: Prof. Merlie Alunan and Dr. Leoncio Deriada, professors emeritus of UP Visayas; Dr. Victor Sugbo of UP Tacloban; Dr. David Genotiva of Eastern Visayas State University; Prof. Antonino de Veyra of UP Mindanao; Mr. Voltaire Oyzon of Leyte Normal University; Mr. Dante Rosales of Ibabao Arts Council of Calbayog; and Mr. Harold Mercurio of Northwest Samar State University. This workshop is subsidized by the National Commission for Culture and the Arts (NCCA).